Little is known about Jack Moss and the Soul Injections, or the original label Raydar that the single "Do You Believe It" first appeared on, other than that it was tied to a long defunct studio in Waverley, New York. Crucially, both tracks - which sound like they were recorded in the late '60s rather than the '70s - are top quality. A-side "Do You Believe It" is an impassioned soul slow jam, where Moss's impassioned lead vocal comes accompanied by delicate electric guitars, walking bass and some seriously good Hammond organ solos. 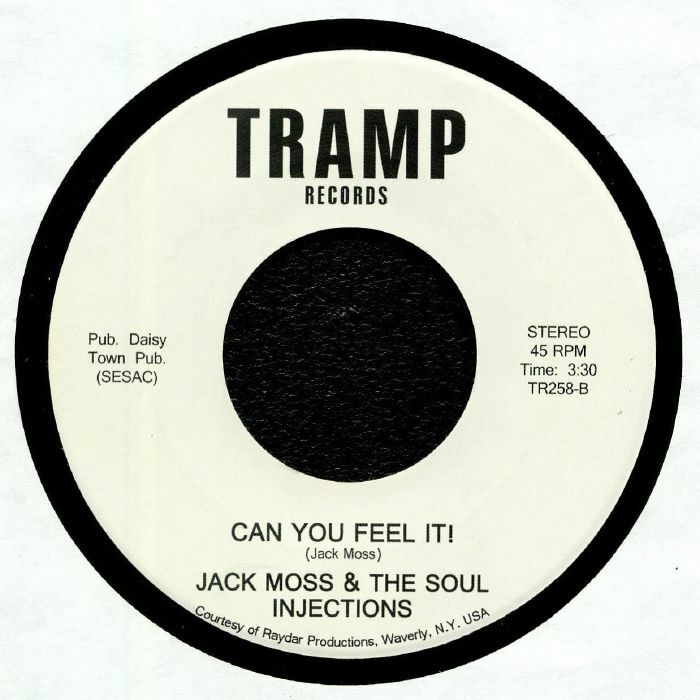 "Can You Feel It", meanwhile, is arguably even better - a punchy rhythm and blues-influenced funk floor-filler rich in guttural vocals and rock style guitar solos.